The Carrière des Lumières - the Quarry of Lights - is one of the highlights of our Provence Roman Heritage tour. Located at the heart of the Alpilles mountains, this former limestone quarry has become an incredible audio-visual experience to delight the senses, projecting animated images onto the enormous rock faces of the quarry, accompanied by specially-selected music. For 2017, the theme was the works of Heironymus Bosch and Peter Bruegel, mixing snapshots of 15th century peasant life with bizarre visions of Hell. 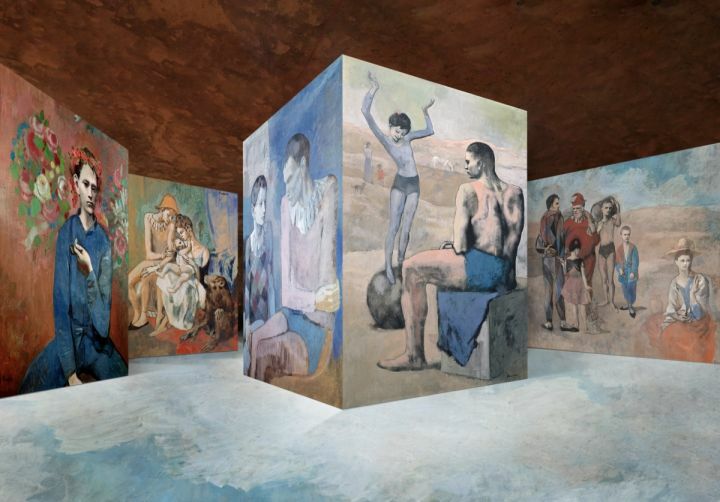 In 2018, however, things will be taking a more abstract route, intertwining the Cubist masterpieces of Pablo Picasso with the portraiture and coastal scenes of the Spanish masters - Francisco Goya, Santiago Rusiñol, Ignacio Zuloaga and Joaquín Sorolla, all topped off with the intense and emotional work of Picasso during World War II. From 18th century Madrilenia to Guernica in 1937, the Carrière des Lumières presents two centuries of Spanish masterpieces of art. We can't wait to experience it - and if you can't either, why not try on of our Roman Heritage cycling tours, now open for enquiries and bookings for 2018? We have Provence tours running from June to September.